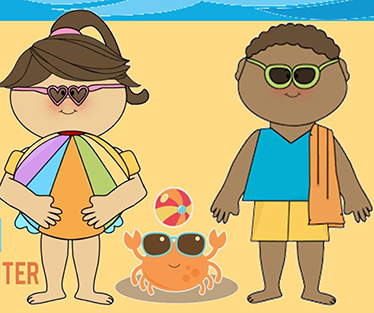 The City of Natchitoches will host Summer Splash 2018, an informative event for families and children Tuesday, May 15 from 4-6 p.m. at the Natchitoches Events Center. Summer Splash is free and open to the public. Summer Splash highlights summer activities throughout the city and parish for children of all ages. Summer Splash will showcase educational, recreational and social youth programs taking place in Natchitoches this summer. Information and registration forms will be available for a variety of summer programs including: Natchitoches Summer Day Camp; NSU Basketball camps; summer programming at Fort St. Jean Baptiste State Historic Site; horse camp; cheerleading and dance camps; summer reading programs at the Natchitoches Parish Library; art and music camps; and health and fitness camps. Booth spaces are free for organizations wishing to participate. For more information on Summer Splash or to reserve a booth, contact the City of Natchitoches Main Street Office at (318) 352-2746 or email Janna Jenkins at jjenkins@natchitochesla.gov.